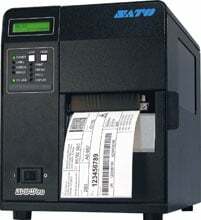 SATO M84Pro (6) - Thermal transfer, 609 dpi, 6" ips, 4.1" print width, parallel interface, 16MB RAM & 2MB Flash. Includes US power cord. Order cables separately. See accessories. The M84Pro(6) delivers 4.1" print width at rapid 10 ips with virtually Zero-Compile time by using the latest generation of 32-bit RISC 133 MHz CPU. The M84Pro(6) has a 609 dots-per-inch print resolution, which can be changed to either 203 or 305 dpi simply by switching printheads. All resolutions support the full 4.1" print width. 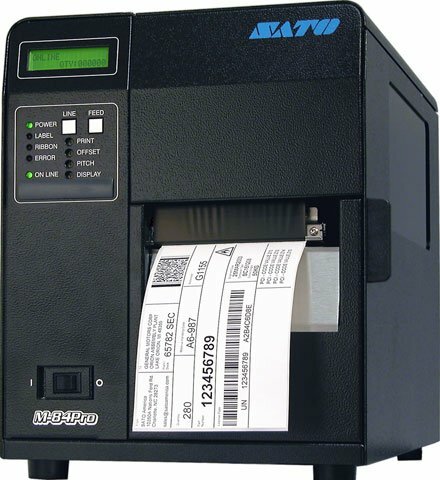 All SATO Pro Series printers come with a minimum of 16MB RAM and 2MB Flash for storage of forms, fonts and graphics. Optional Flash module or PCMCIA memory card expands the printer storage capabilities even further. The M84Pro(6) is available with a vast array of interface connection plug-in modules making integration connectivity issues disappear. The SATO WM8460011 is also known as SAT-WM8460011	.